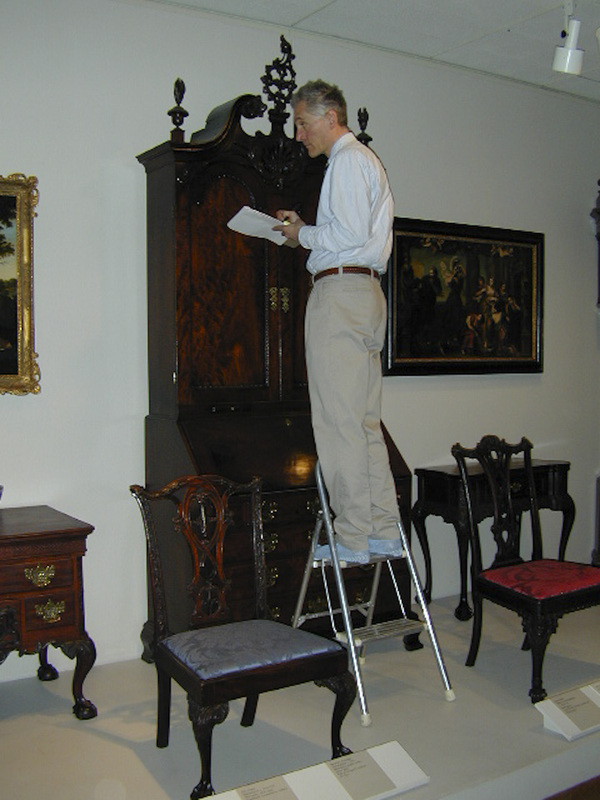 A number of treatments performed by Schuettinger Conservation Services, Inc., involve the replication of losses to original elements primarily due to poor previous repairs, cosmetic and stylistic changes, the ravages of time, and regular use. The loss replacement is based on a combination of historical and physical evidence. 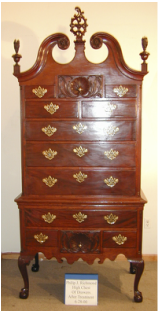 The replicated element requires traditional craft technique utilizing materials of like kind and quality to the original or the usage of non-original modern technically advanced materials. 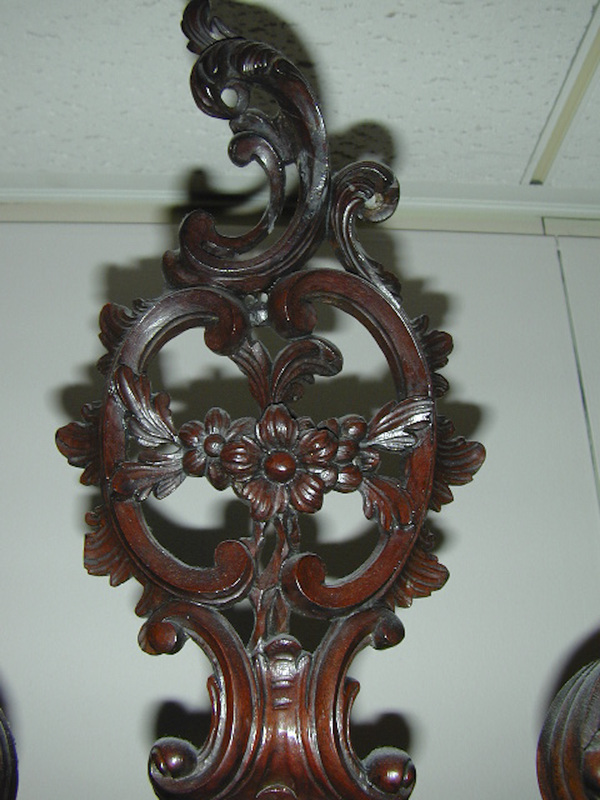 In 2005 Schuettinger Conservation was hired to replicate missing crest rail components from a set of dining chairs originally from the Pennsylvania Avenue residence in Washington, DC of Alfred P. Mullet 1834 to 1890. Mr. Mullet was a supervising architect for the division of the Treasury Department responsible for designing government buildings after the Civil War. 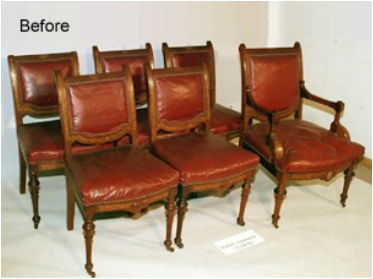 These chairs represent a very unusual interpretation for the Neo-Grec style in mid-19th century America. A historical photograph illustrating the chairs in the dining room of Mr. Mullet's home. During treatment of the crestrail loss replacement prior to finishing for visual integration. After detail the loss replacement involved the art of turning, carving, veneering, and ebonizing.